Can you tell the difference between two images which seem to be identical? And if the amount of time you have is limited? It is an electronic version of a classic family puzzler and you should remember that the similarity of the pictures is misleading! Featuring lots and lots of images, and occasional changes, there's no end to the fun you get. 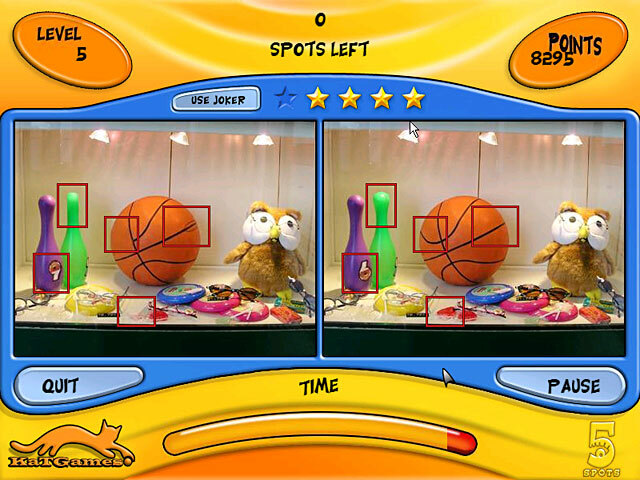 5 Spots game is shareware, this means you can download and play 5 Spots game for free during 1 hour trial period. After this period you have to buy the game for $6.99 or uninstall it. It works with Windows 98/XP/Vista. 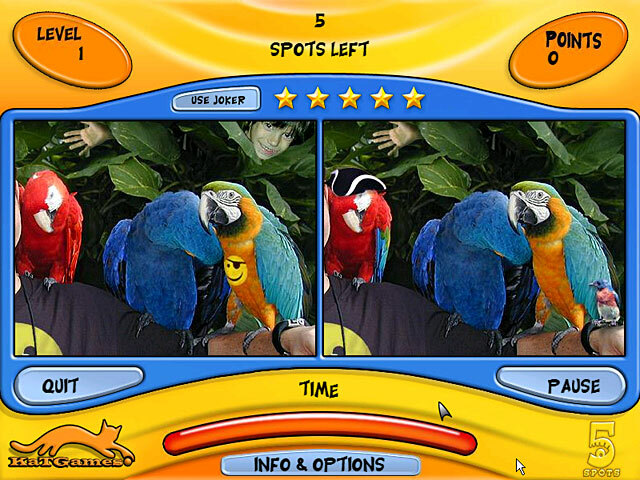 The presented 5 Spots game does not contain any spyware and/or advertise modules, allowing you to install it without worries concerning valuable information loss. Downloading 5 Spots game will take a few minutes if you use fast Cable/ADSL connection. 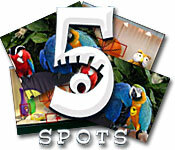 Download 5 Spots game for free, play and enjoy it!